Miguel Concepcion recently posted a healthy reminder that gamers CAN be bibliophiles—especially where books about video games are concerned. 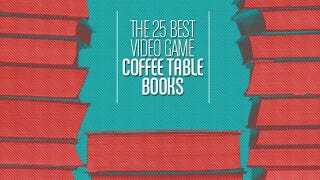 Behold, the 25 Best Video Game Coffee Table Books. 1001 Video Games You Need To Play Before You Die. Enough said. Dawn: The Worlds Of Final Fantasy, an art showcase by Yoshitaka Amano, the series' main character designer through FFVI. Ico: Castle In The Mist, the only novel on the list, translated from Japanese. Portal 2 Collector's Edition Guide, a strategy guide with an artwork section included. The Art of The Mass Effect Universe, which hopefully adheres to Mass Effect canon with a little more integrity than the recent novel.